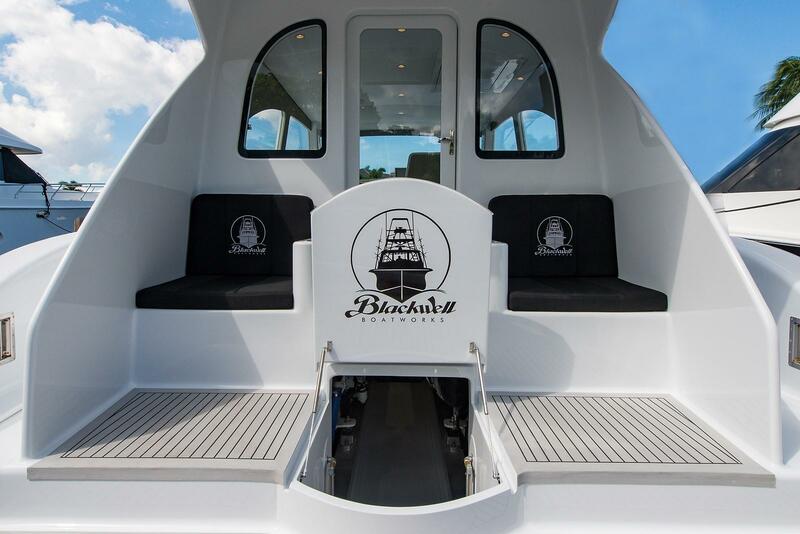 2018 Blackwell 57 Walkaround "2018 57 Blackwell"
Very rarely does a buying opportunity like this present itself! 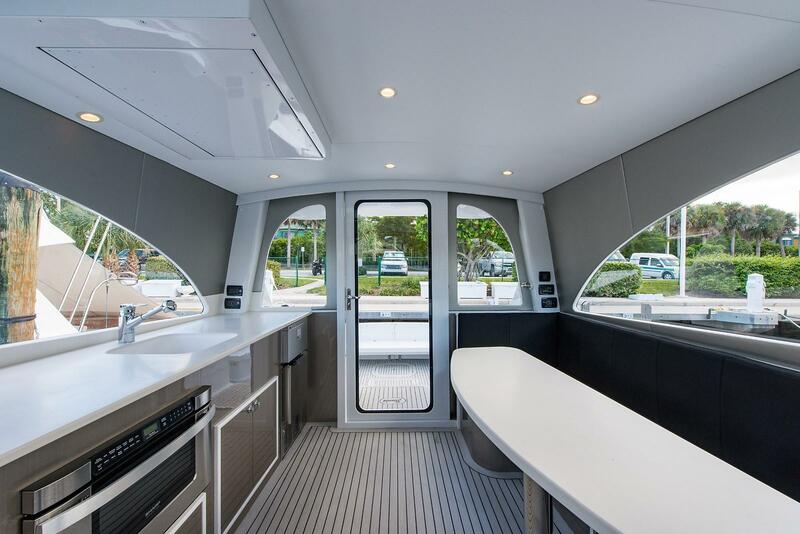 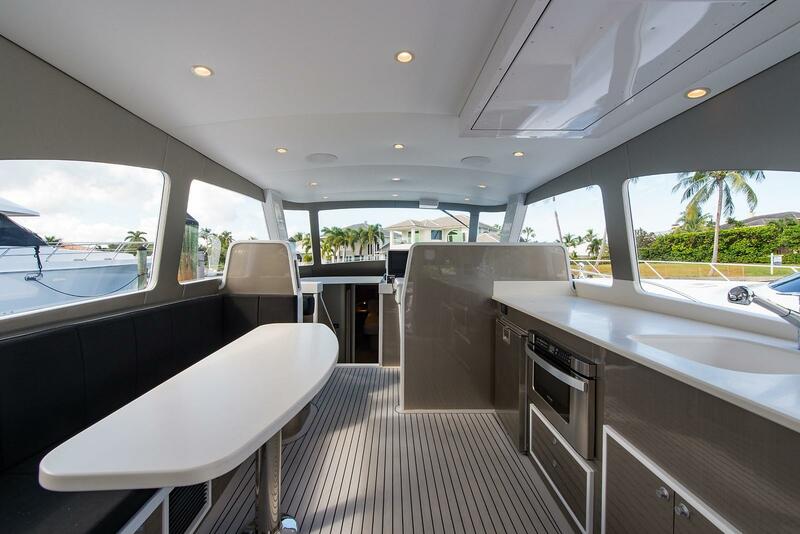 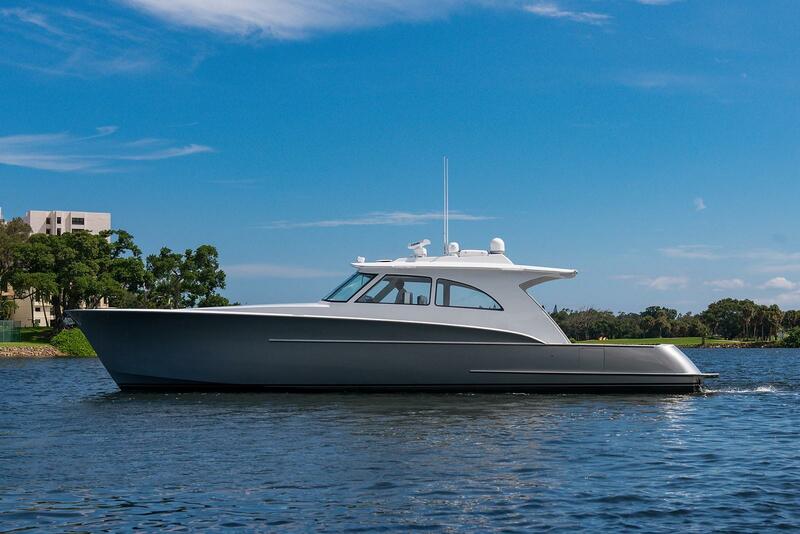 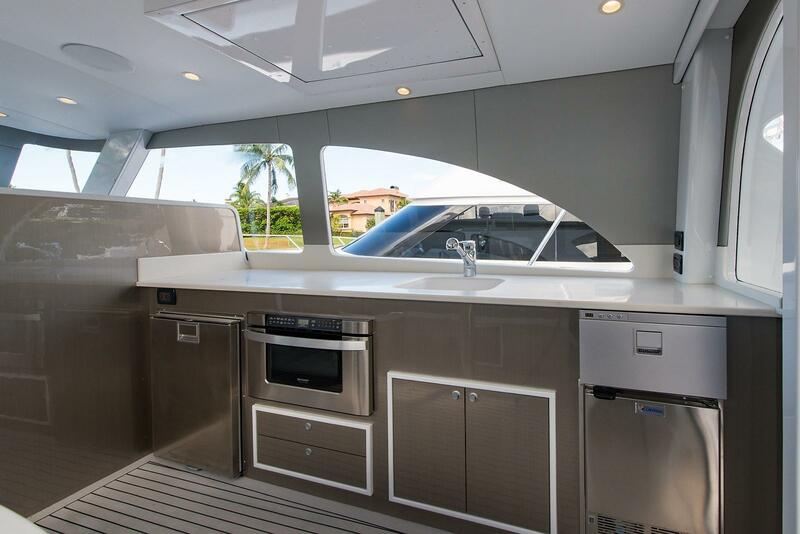 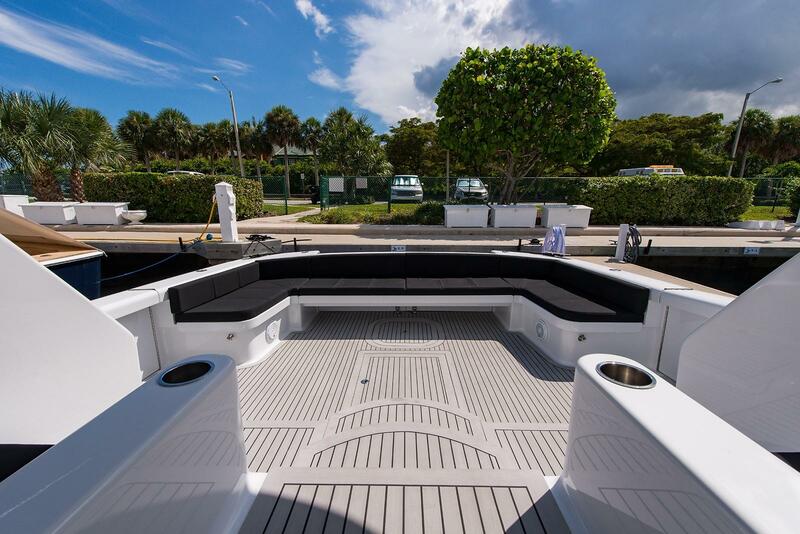 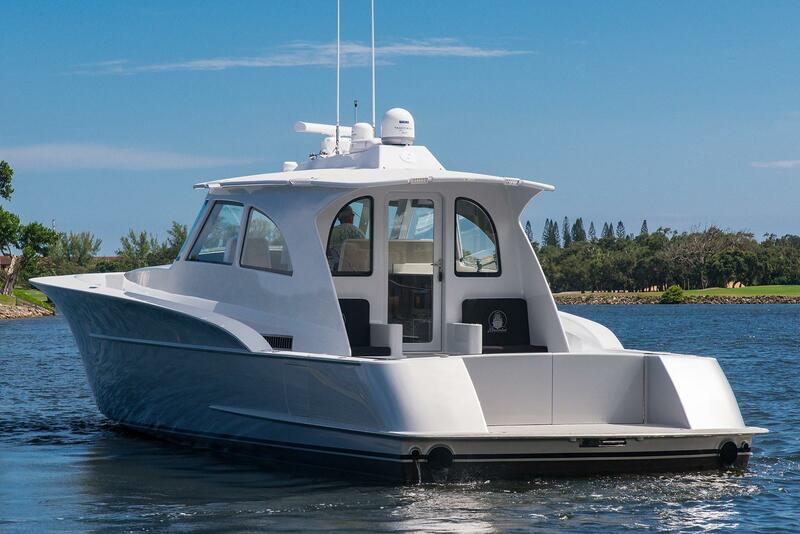 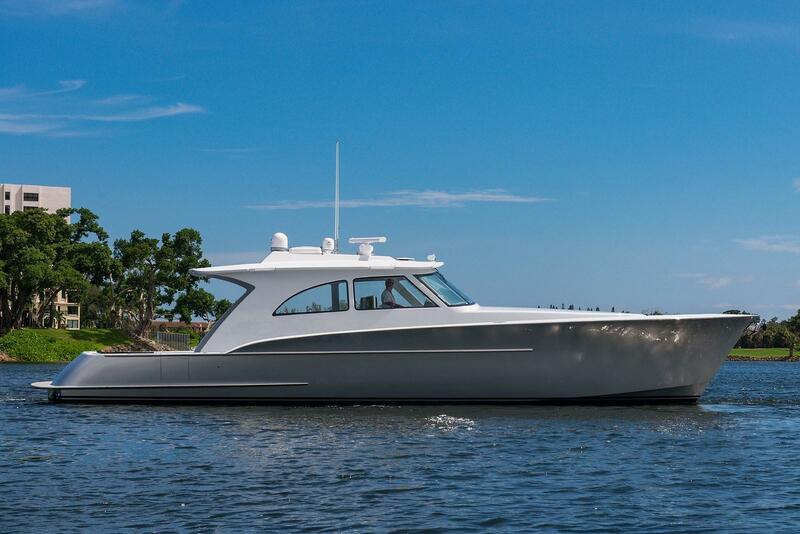 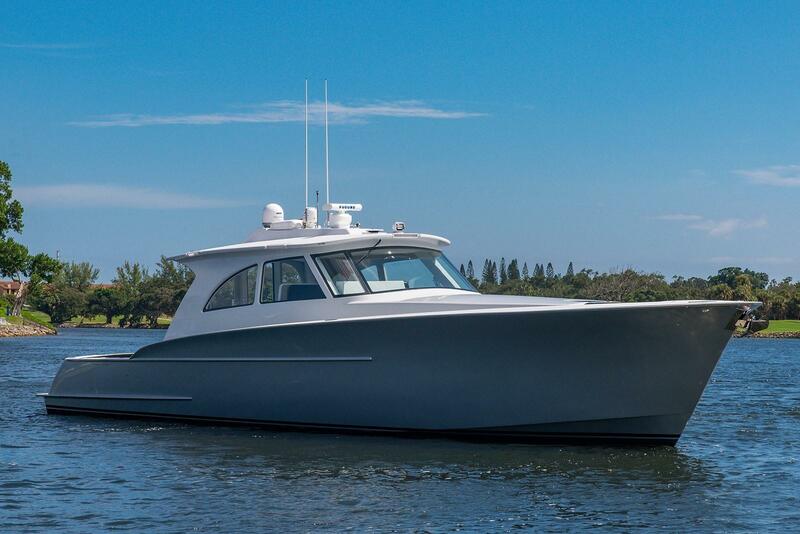 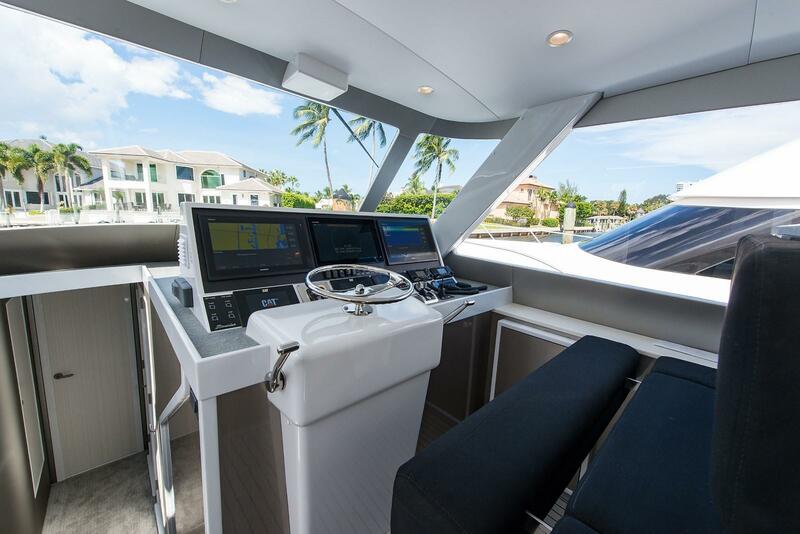 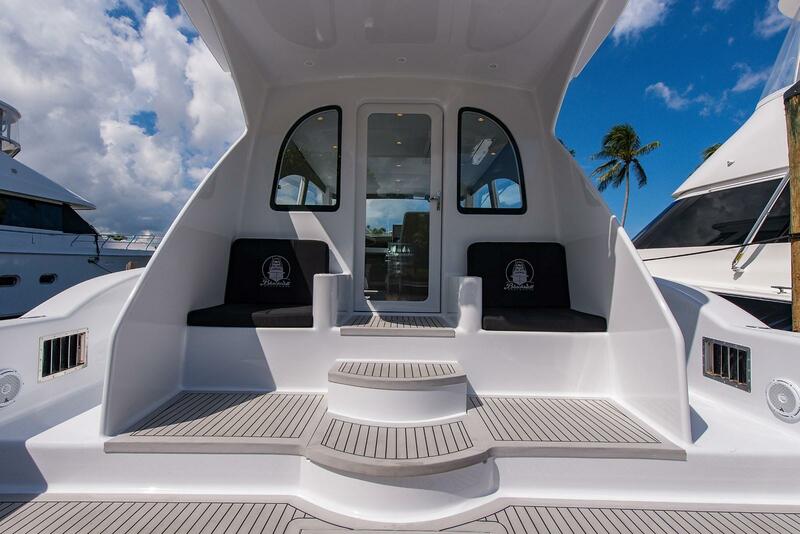 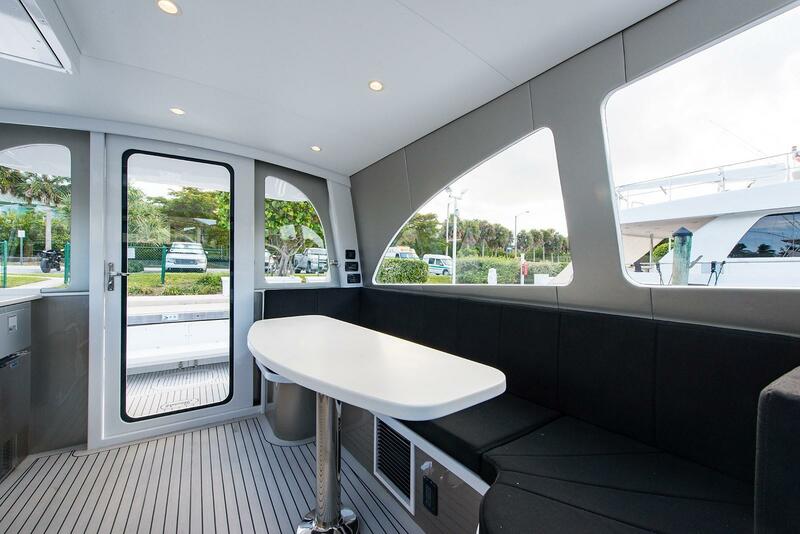 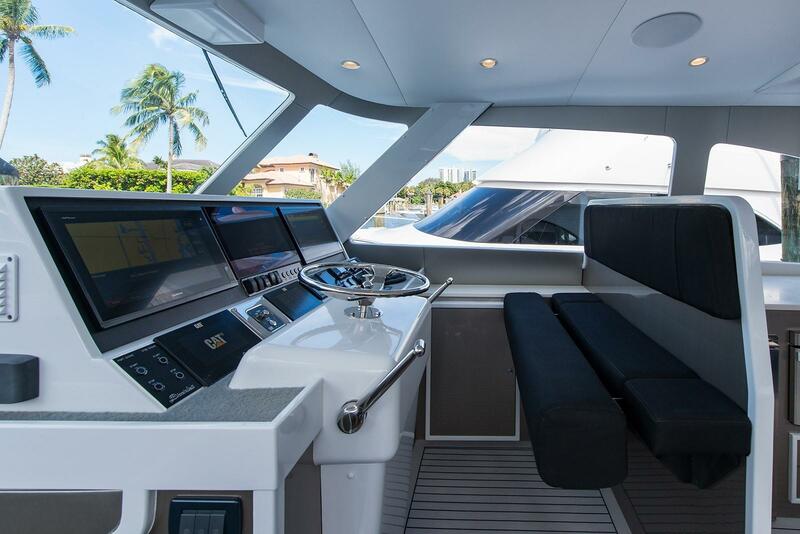 This New 2018 CUSTOM 57’ CENTER CONSOLE is ultra-modern in design, building technology and performance. 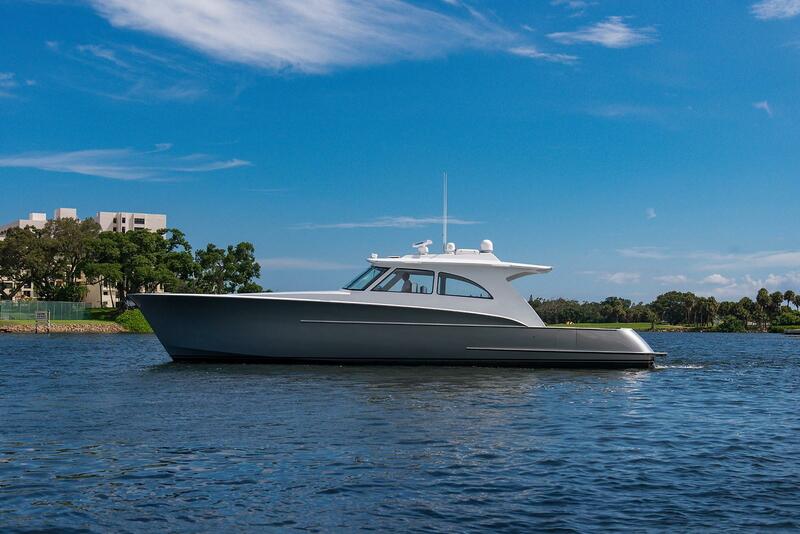 With a striking Aston Martin Lightning Silver paint job on the hull sides she’s sure to turn some heads. 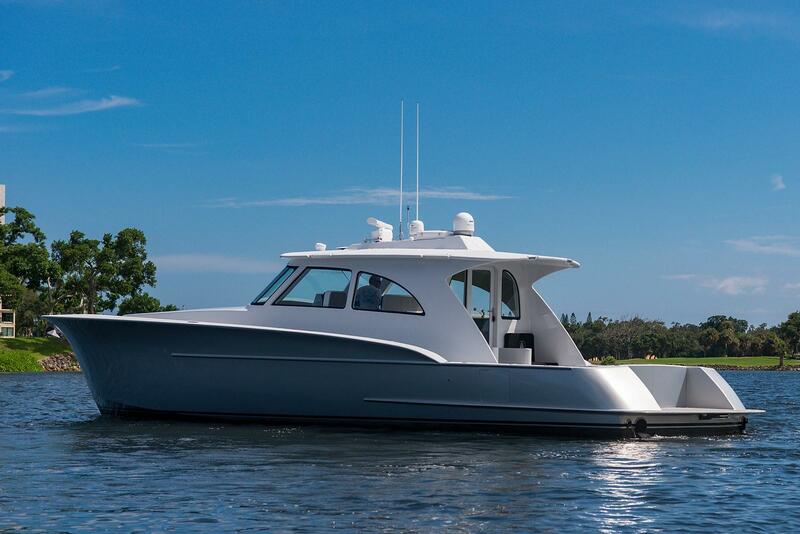 She is equally at home cruising or fishing and is suited for both. 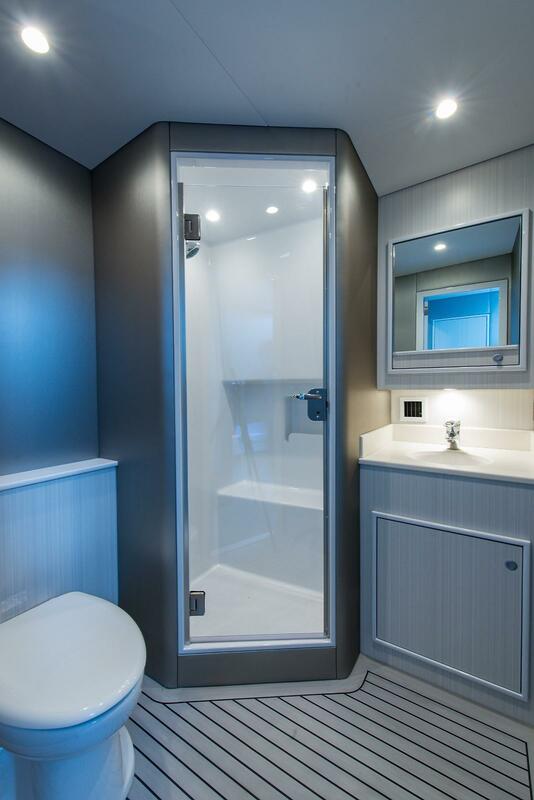 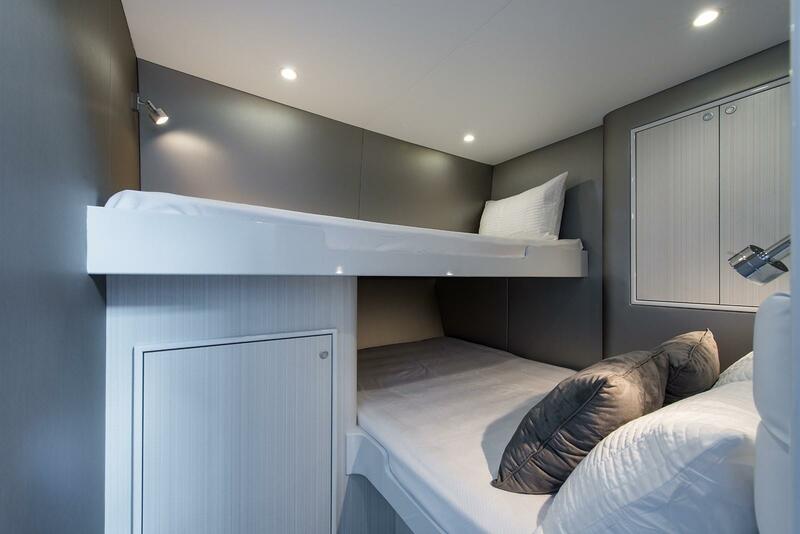 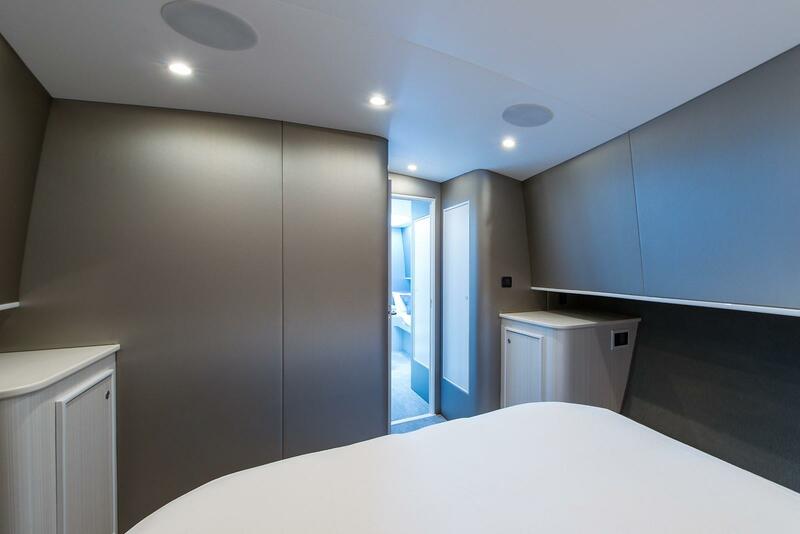 Her interior is simple yet elegant and offers overnight accommodations for 6 in two cabins plus an extra berth just off the companionway. 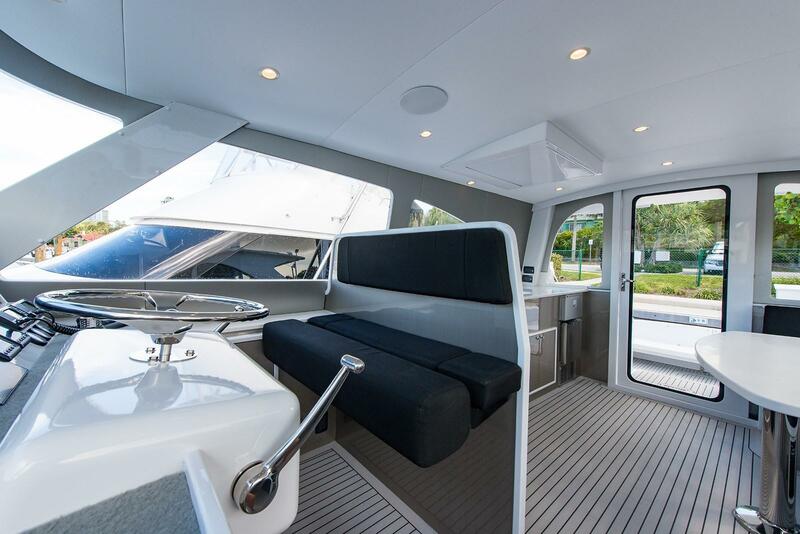 She has a spacious cockpit with mezzanine seating and a full walk around foredeck with seating at the bow. 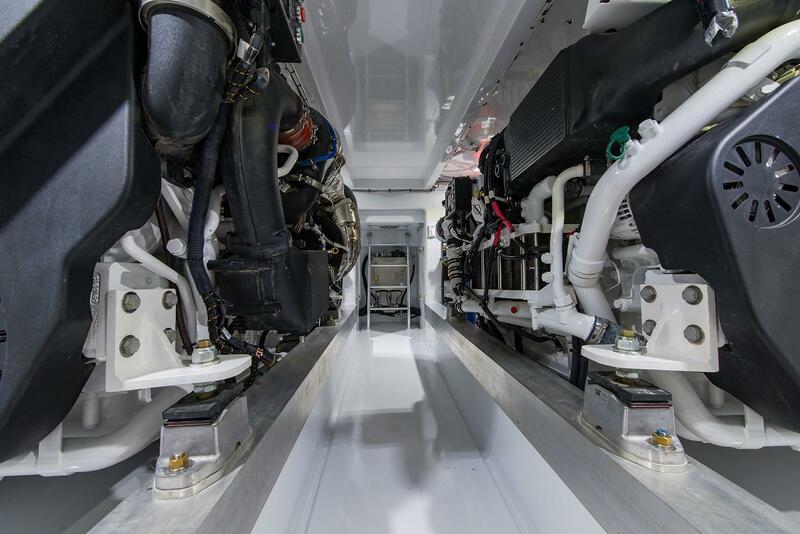 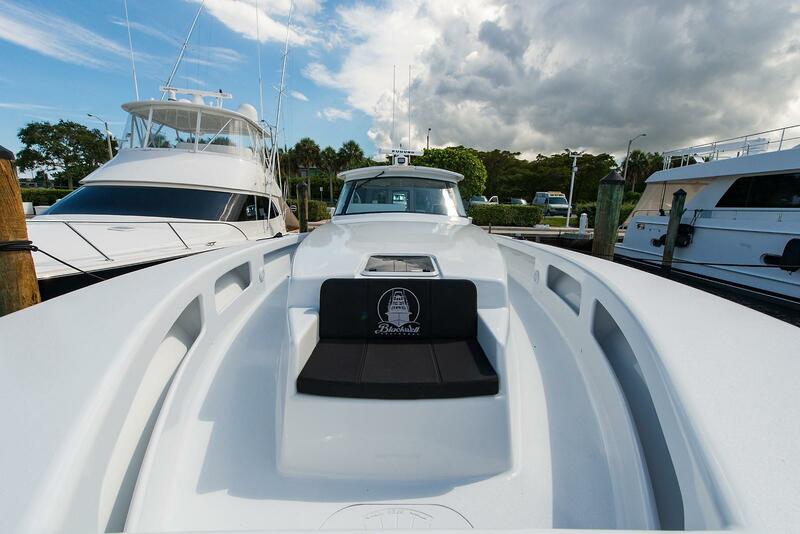 She is powered with Caterpillar C12.9 1000 HP Engines and delivers a ride unparalleled in a boat of this class! 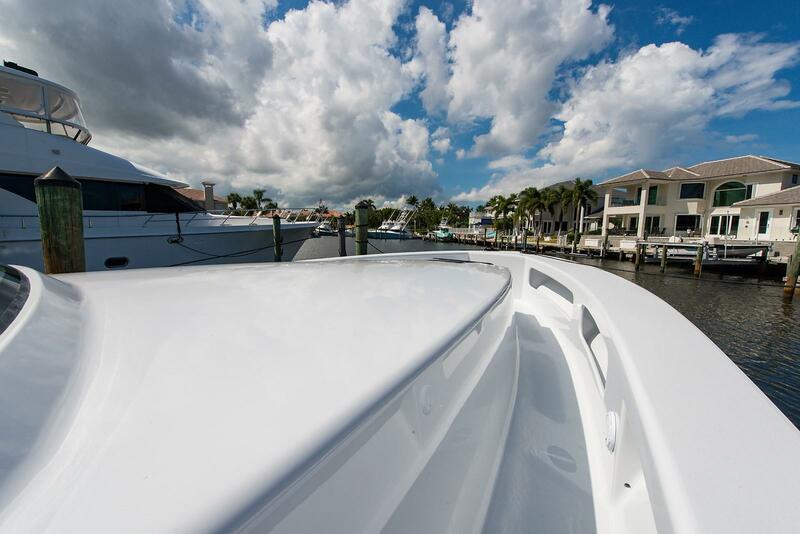 You have to ride it to believe it! 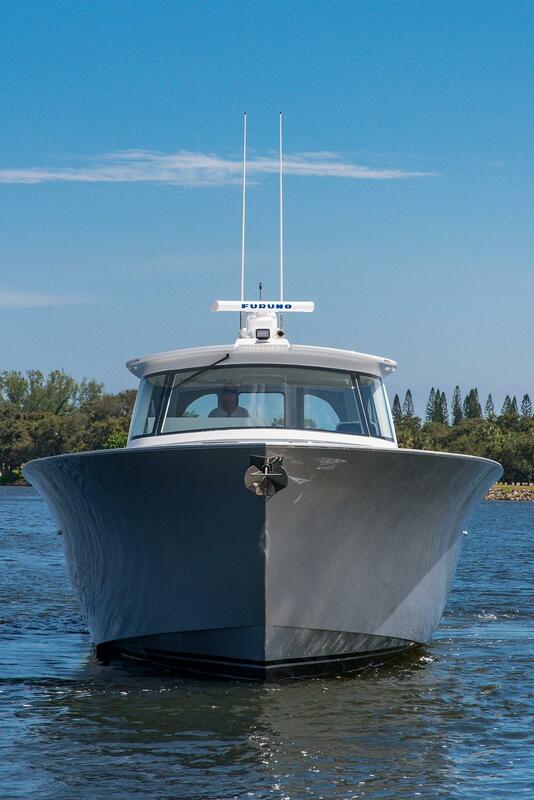 With a cruise speed of 30 knots at 60 gallons per hour, she is extremely smooth quiet and efficient. 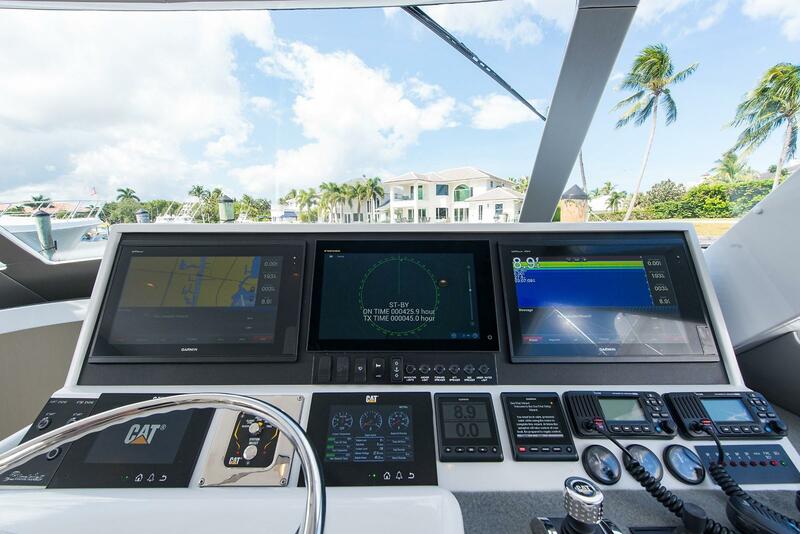 Upgraded CAT THREE60 Joystick Precision Control System makes docking effortless in any condition. 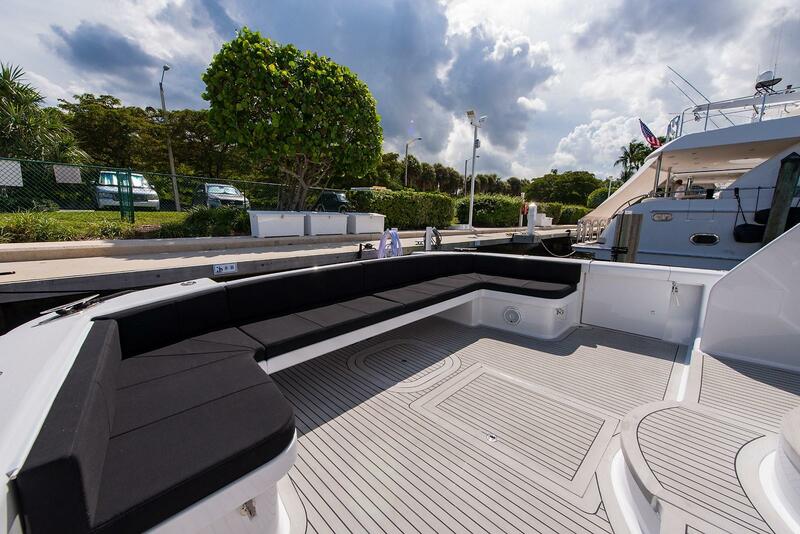 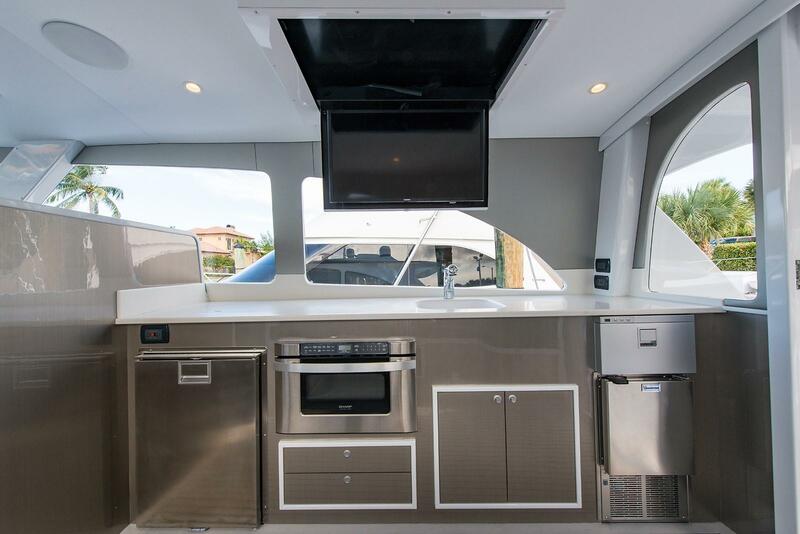 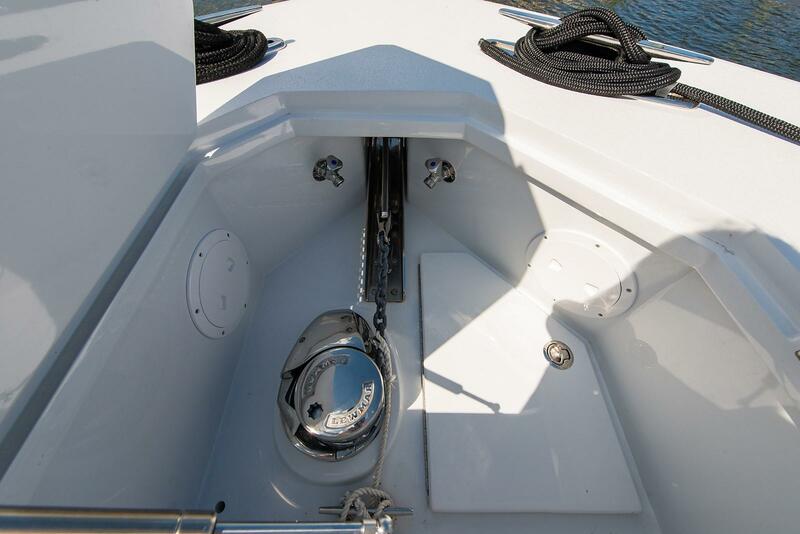 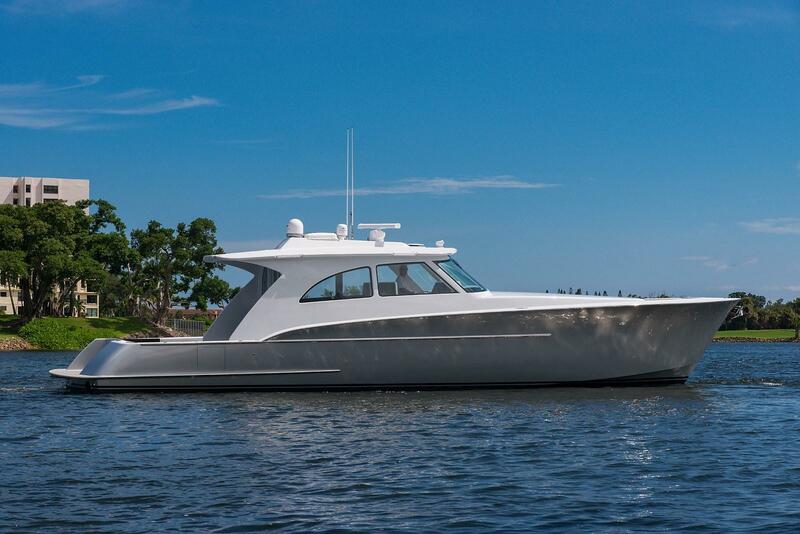 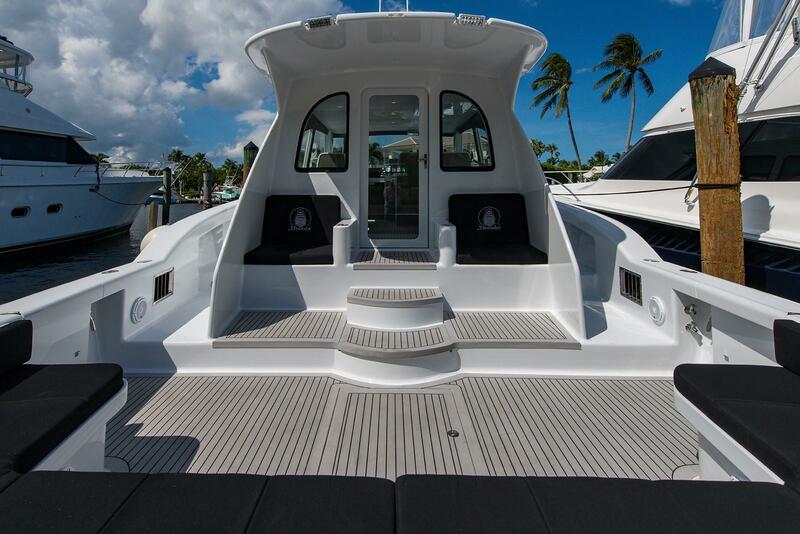 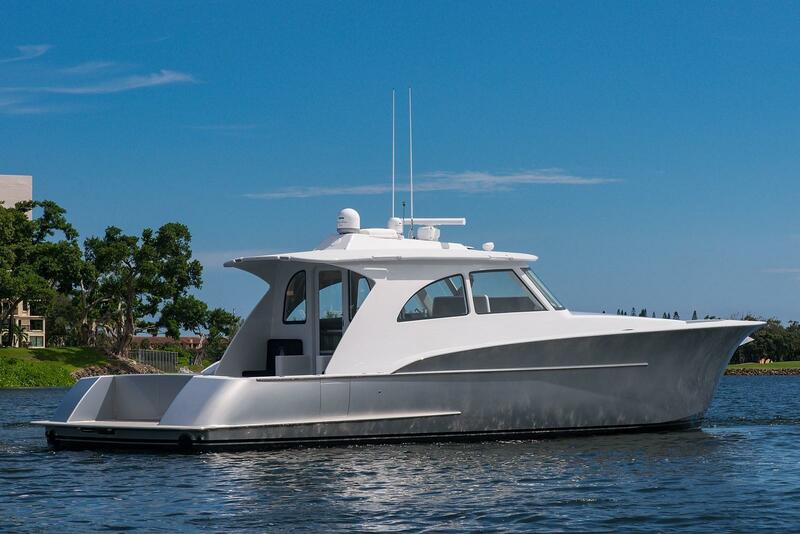 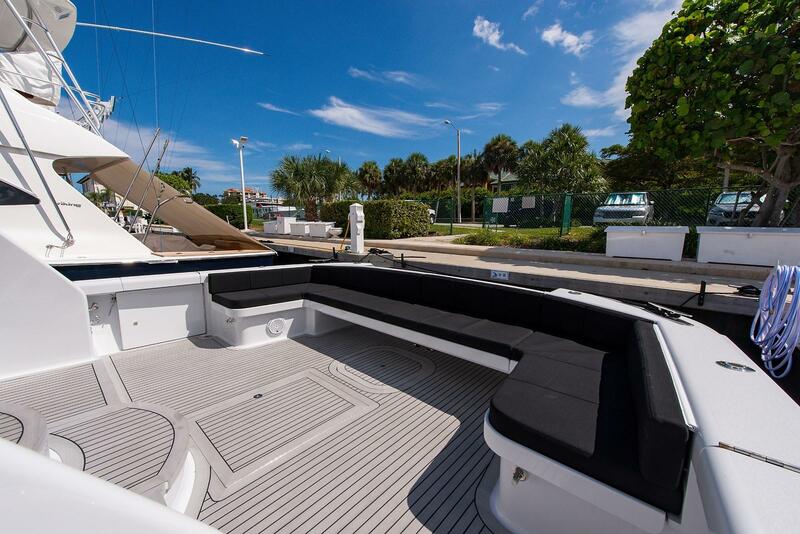 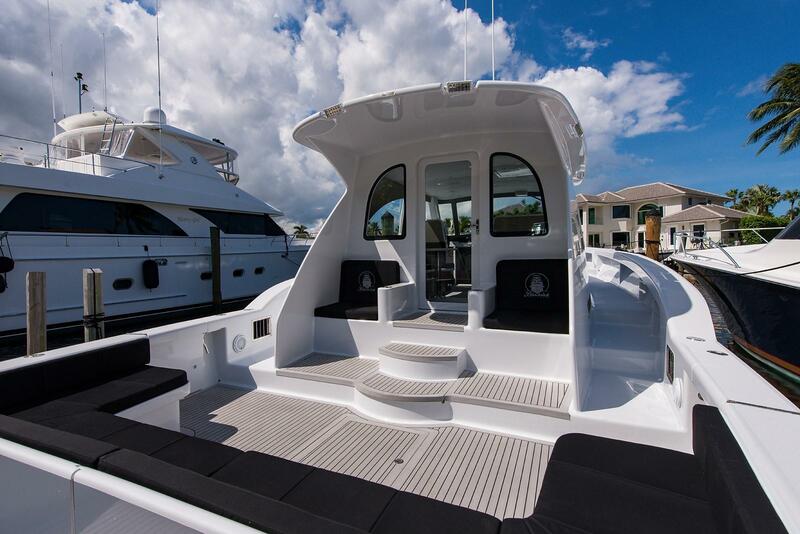 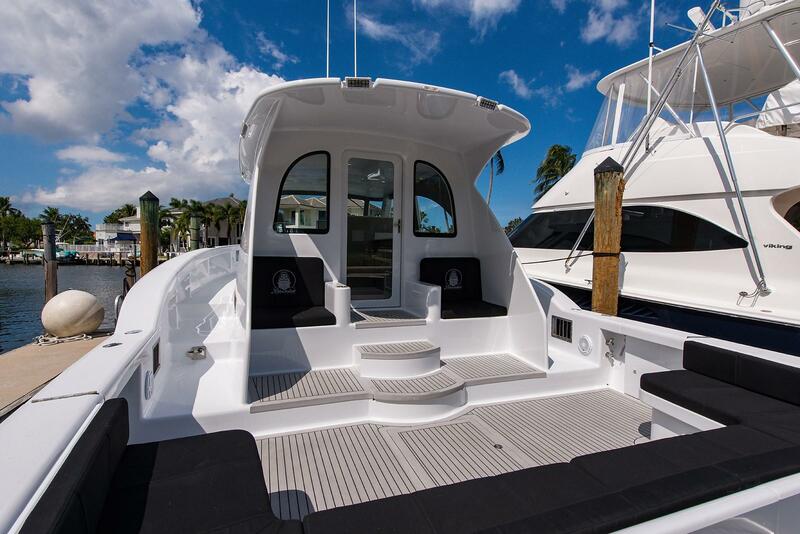 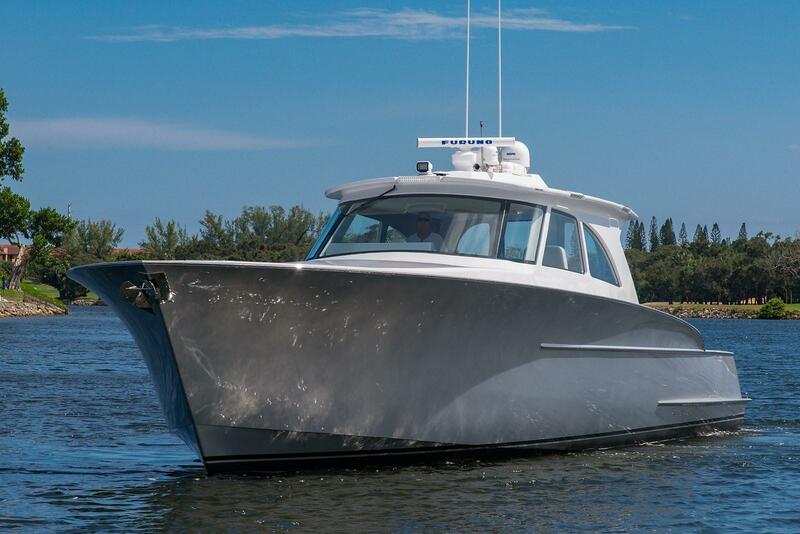 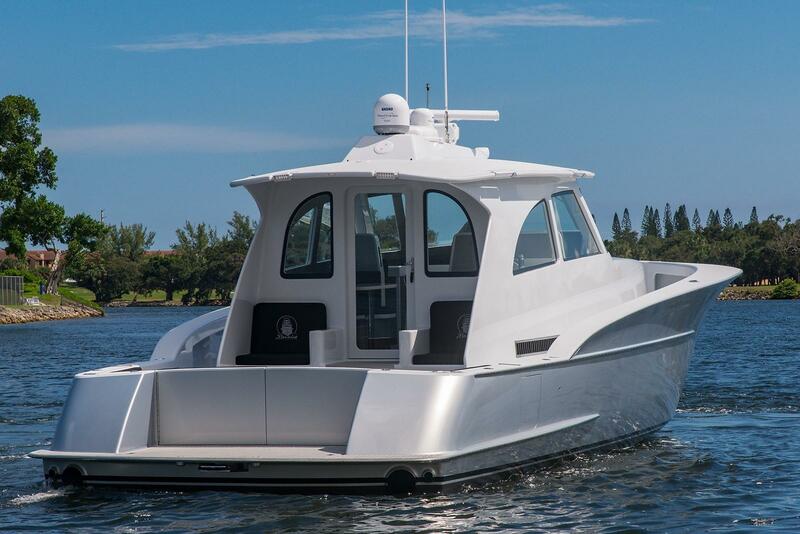 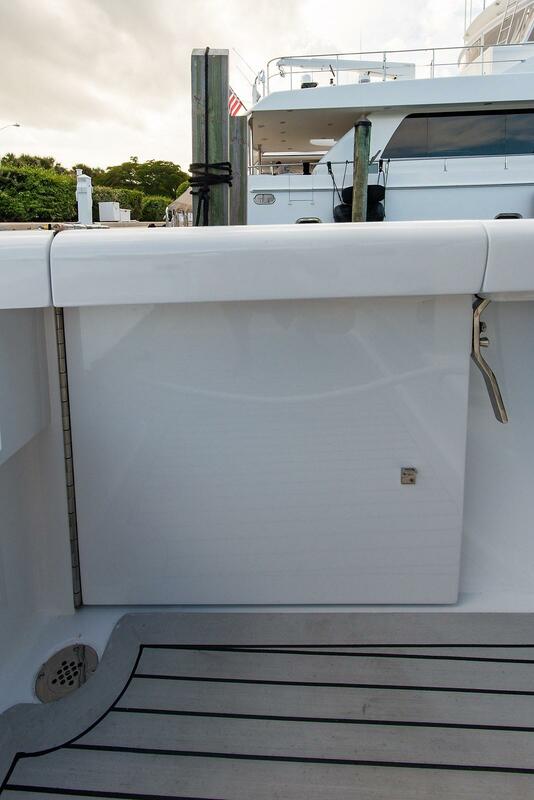 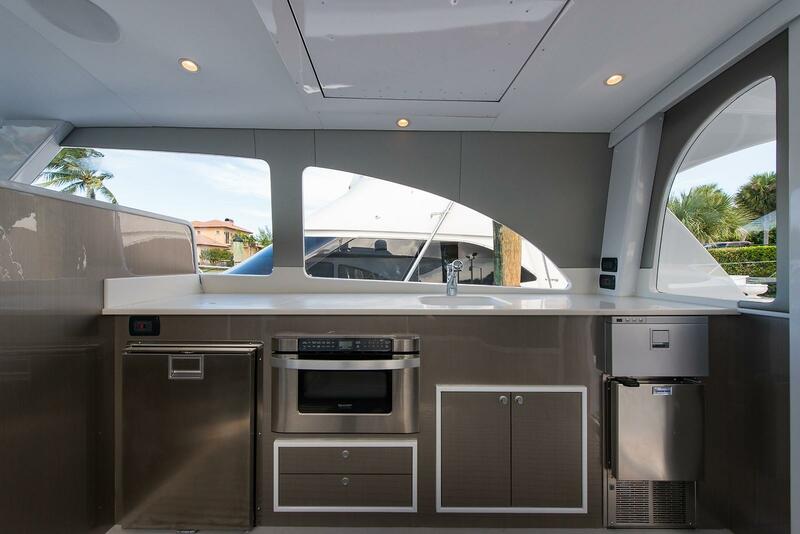 Call today for more information on this 2018 CUSTOM 57’ CENTER CONSOLE or to schedule a showing! 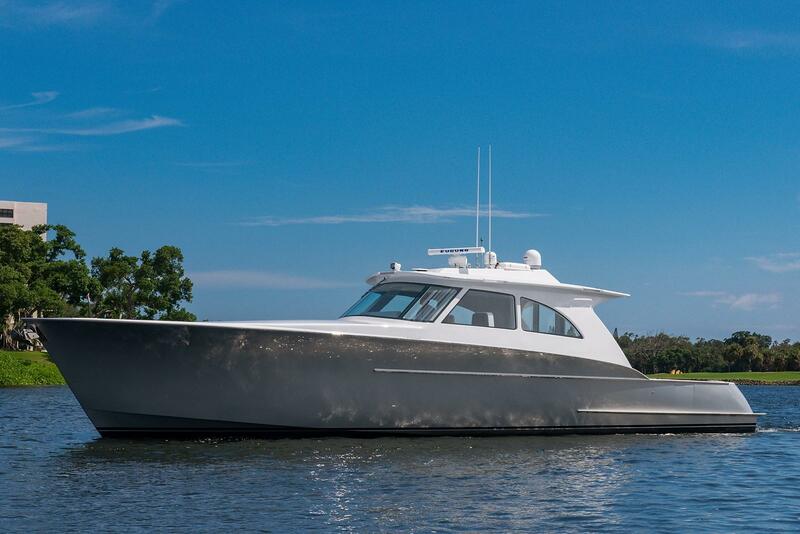 Very rarely does a buying opportunity like this present itself! 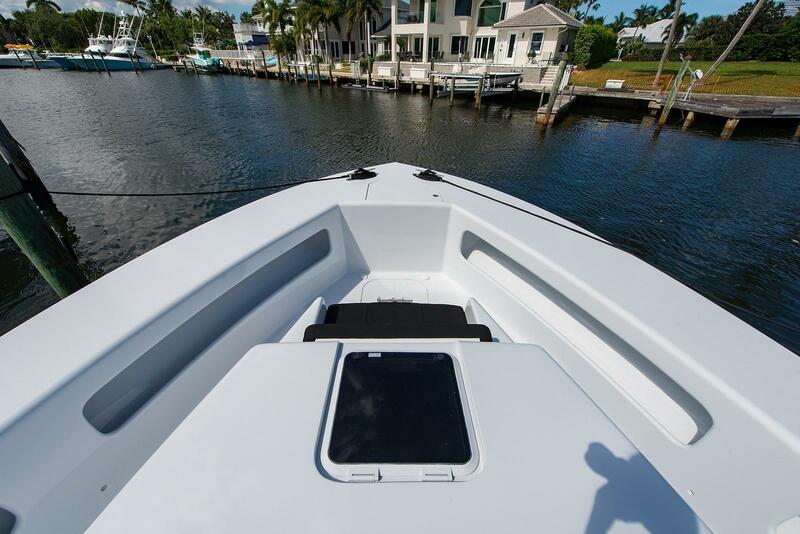 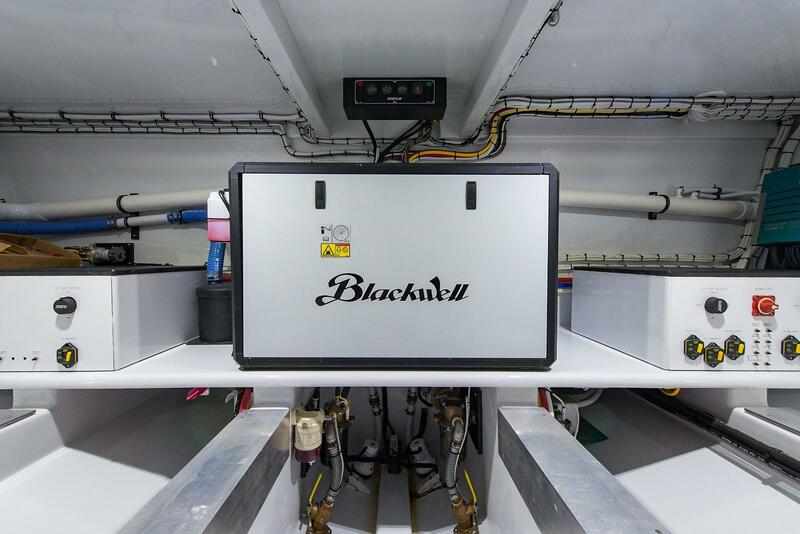 This New 2018 57 Blackwell Boatworks Custom Center Console is ultra-modern in design, building technology and performance. 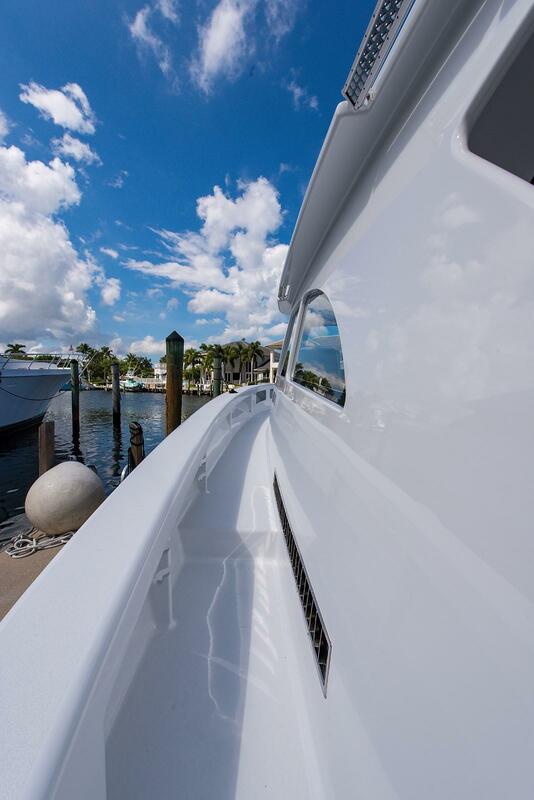 With a striking Aston Martin Lightning Silver paint job on the hull sides she’s sure to turn some heads. 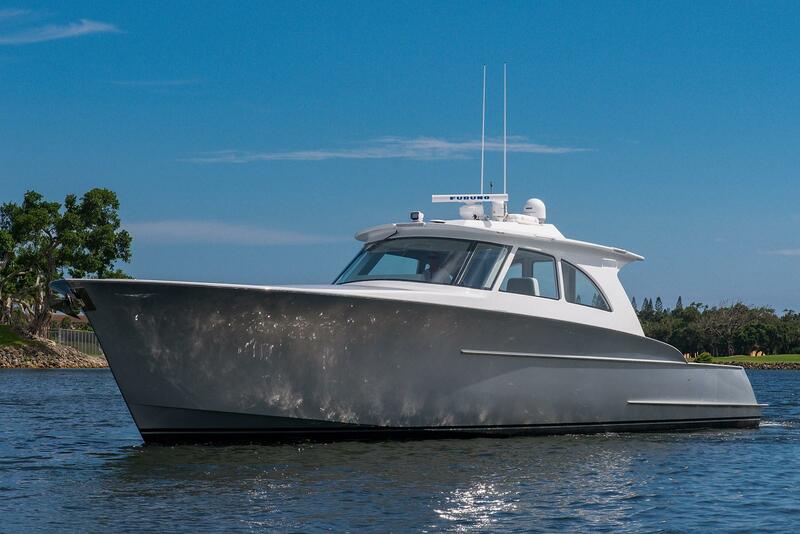 She is equally at home cruising or fishing and is suited for both. 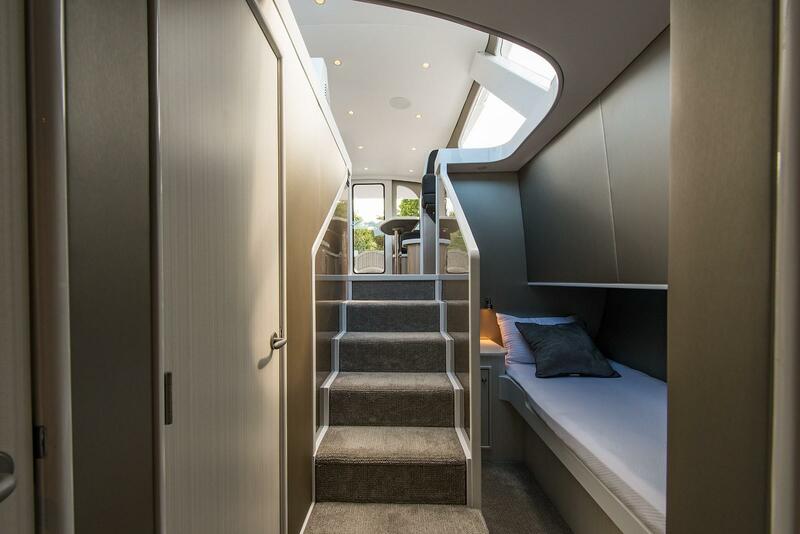 Her interior is simple yet elegant and offers overnight accommodations for 6 in two cabins plus an extra berth just off the companionway. 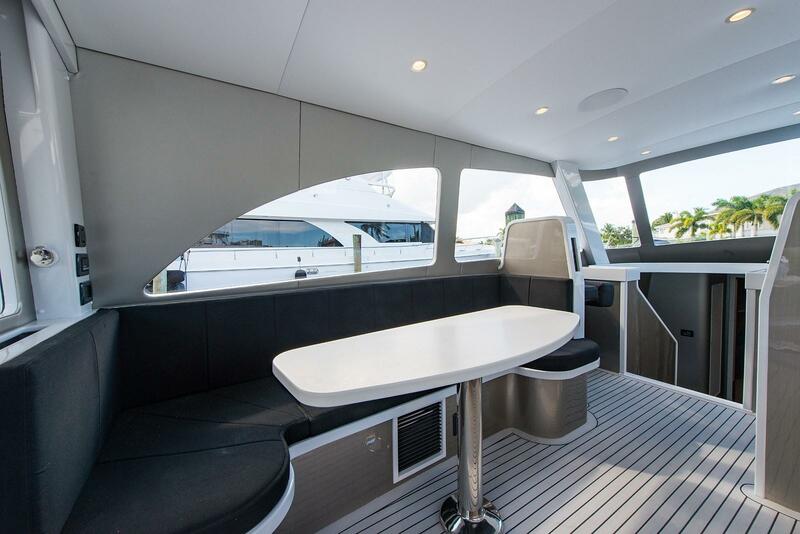 She has a spacious cockpit with mezzanine seating and a full walk around foredeck with seating at the bow. 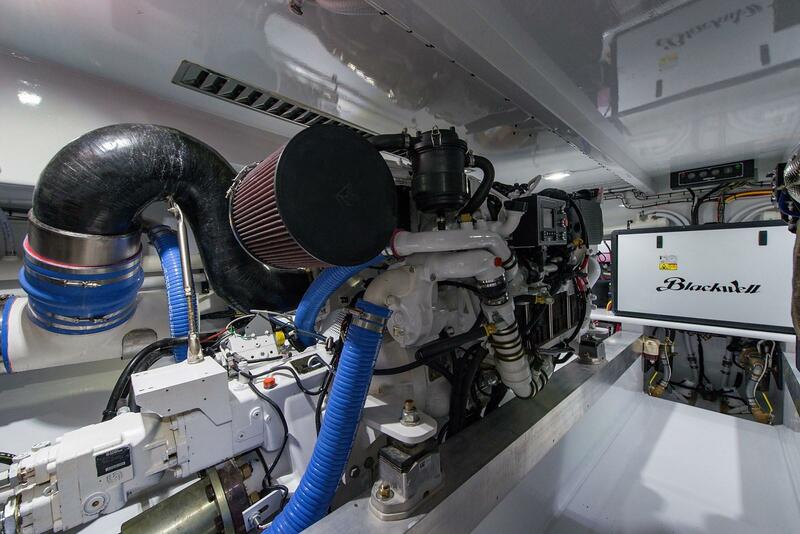 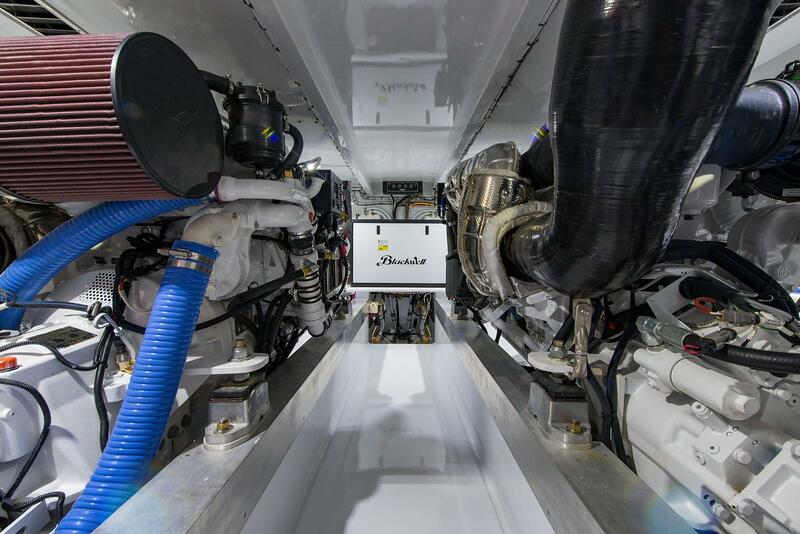 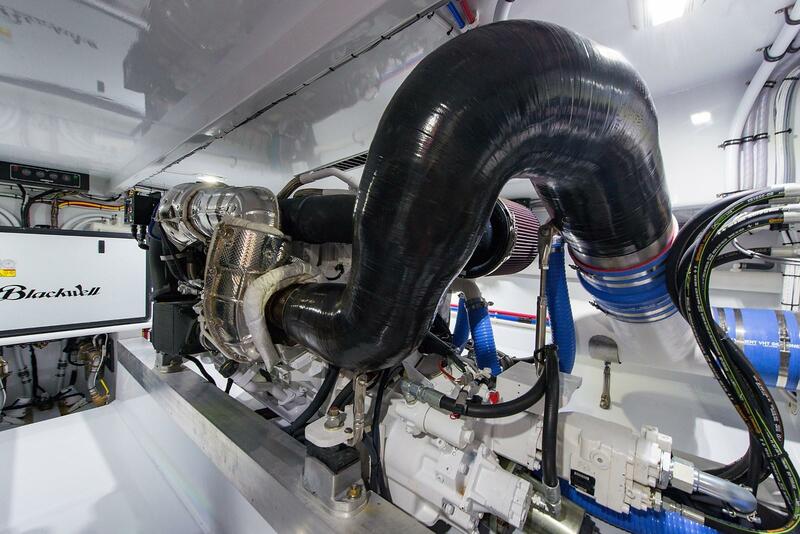 She is powered with Caterpillar C12.9 1000 HP Engines and delivers a ride unparalleled in a boat of this class! 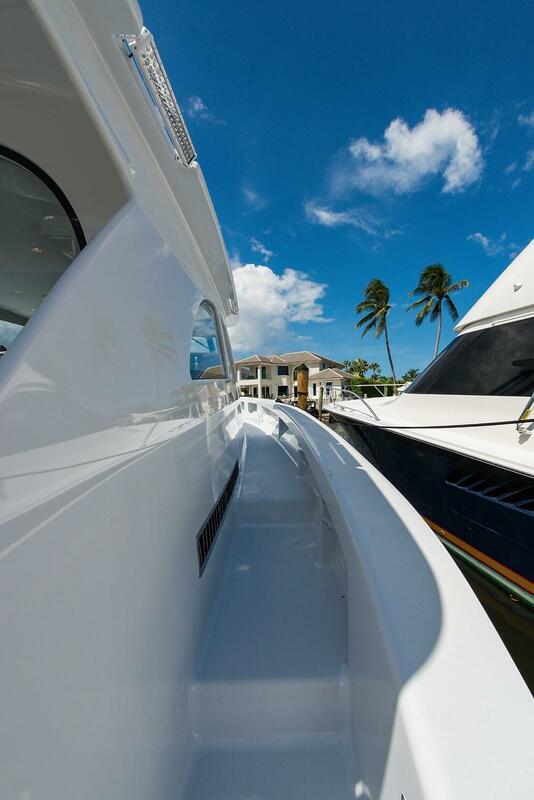 You have to ride it to believe it! 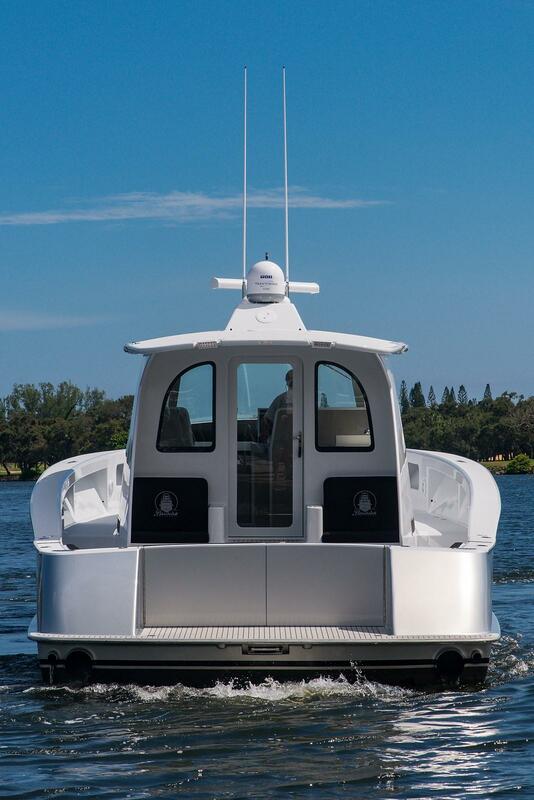 With a cruise speed of 30 knots at 60 gallons per hour, she is extremely smooth quiet and efficient. 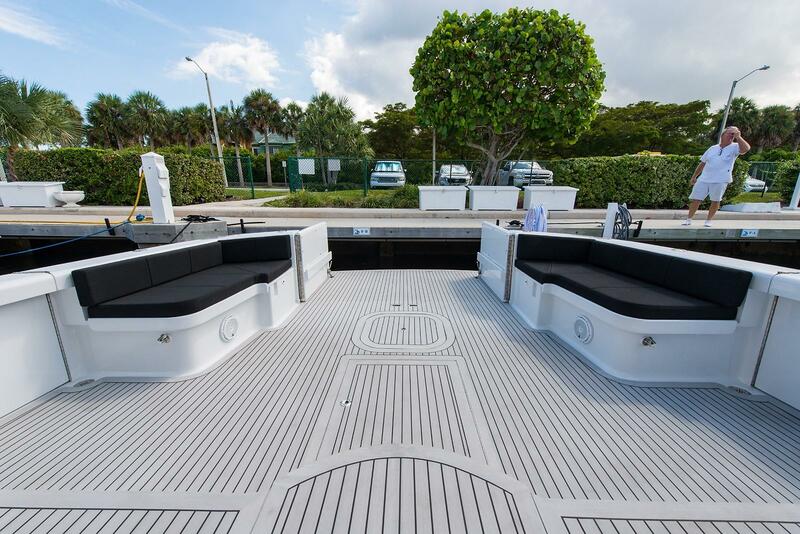 Upgraded CAT THREE60 Joystick Precision Control System makes docking effortless in any condition. 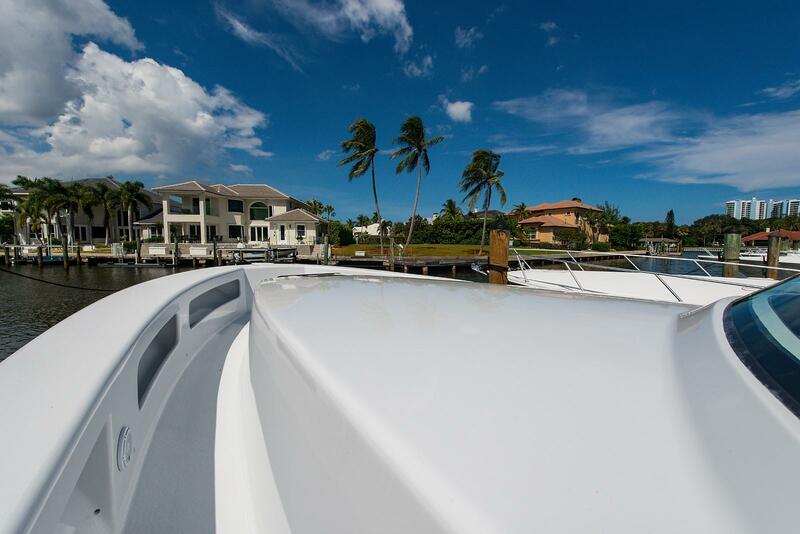 Call today for more information or to schedule a showing!